Dimension approx. : 31″ (long) x 7″ (wide) x 6″ (high). 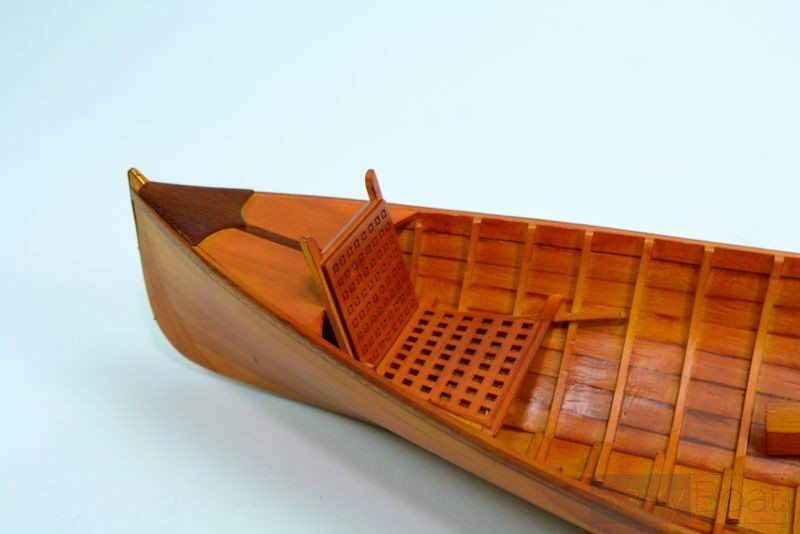 Built since the early 19th century, Adirondack guideboats evolved from a hunting skiff to today’s highly refined design. 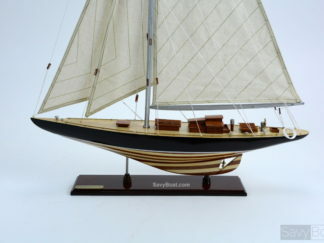 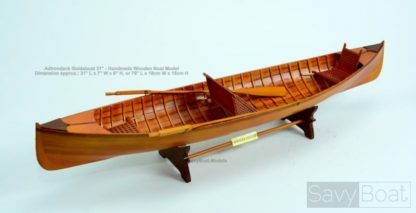 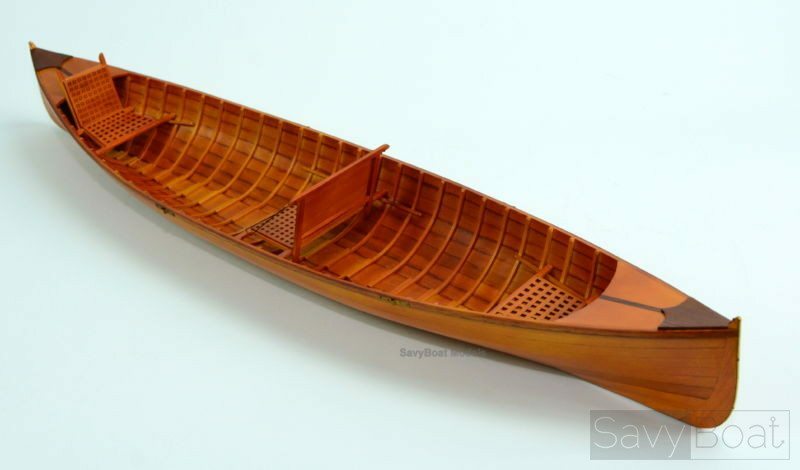 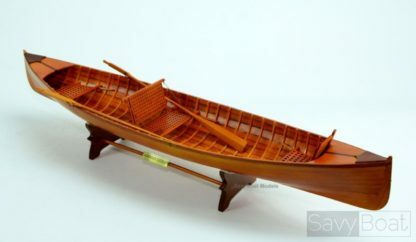 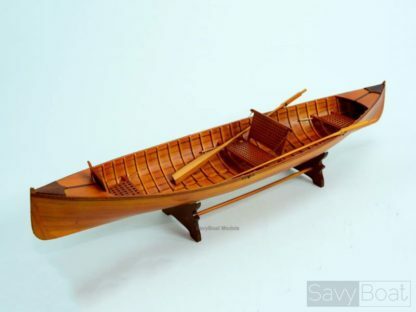 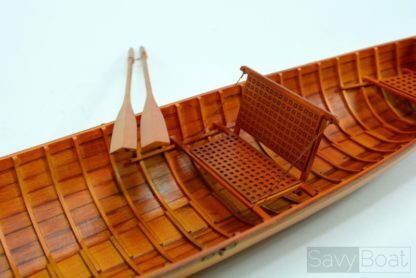 The Adirondack guideboat was originally designed for guides who carried the boat and provided all the propulsion for his paying passengers, hunters or fishermen, who travelled to the Adirondack region of upstate New York. 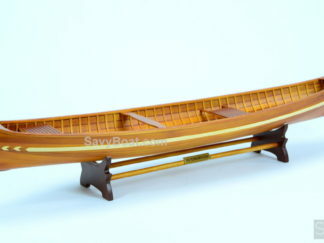 While the Adirondack guideboats resemble canoes, they are not. 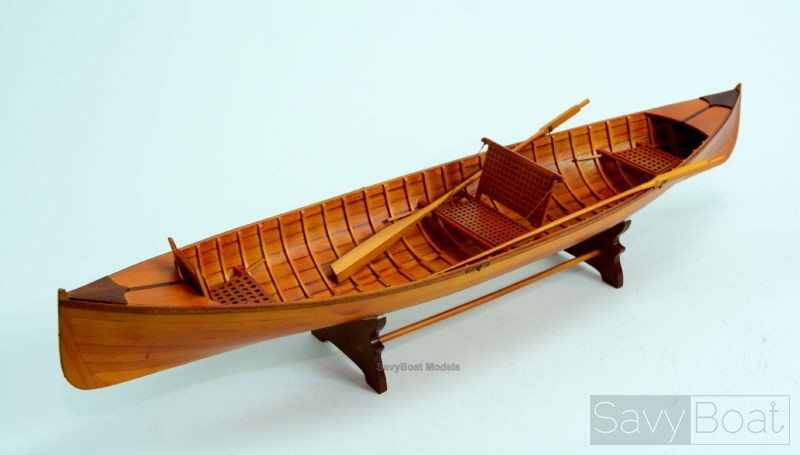 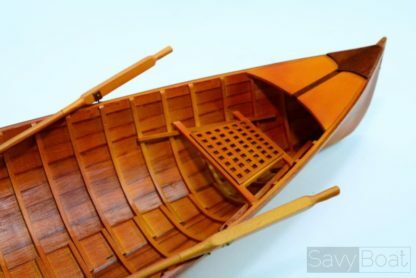 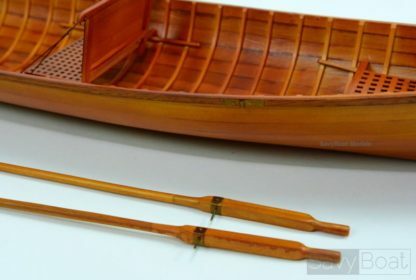 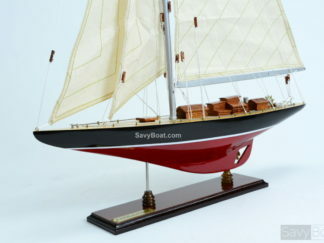 They are built in a manner similar to a skiff and they are rowed, not paddled. The boat is also more stable than a canoe because the occupants are sitting lower, almost on the bottom of the boat. 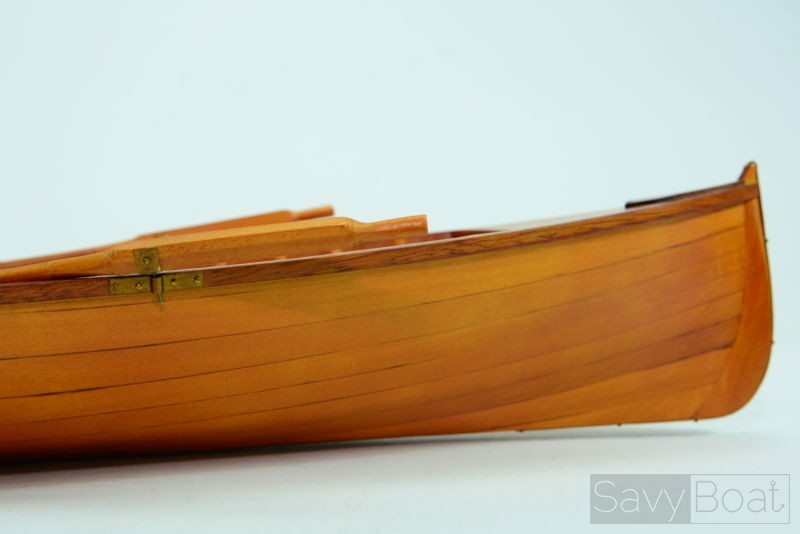 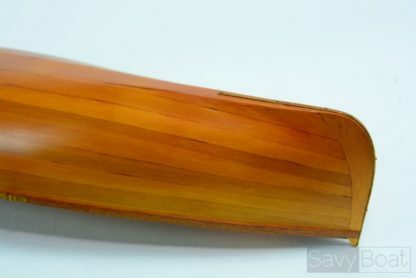 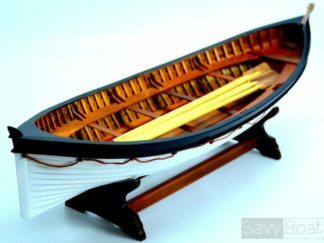 Peterborough Canoe 36" Titanic Lifeboat 24"